OneTouch Verio Flex is a glucometer that you can use to test your sugar levels. It comes with test strips, meter, lancets, and a lancing device. 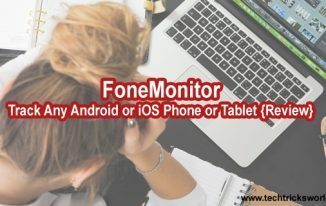 Unlike traditional glucometers, it has its own mobile app as well which syncs with the meter, and captures the sugar test result. Diabetes is one of the most common disorders nowadays. When I was a kid, I knew that diabetes is a disorder that happens in the mid-age (between 35 – 45 yrs) people, but when I was diagnosed with Type 1 Diabetes, I was just of 24 years. Then I came to know; there are various types of diabetes such as Type 1, Type 2, Gestational, and few others. Out of these Type 1 and Type 2 are the most common ones. In Type 1, the human body stops producing Insulin, and in Type 2 insulin production reduces or goes irregular. Type 1 Diabetes can be maintained only with insulin injections. In Type 2, changing eating habits, and starting workouts put a lot off good effect. 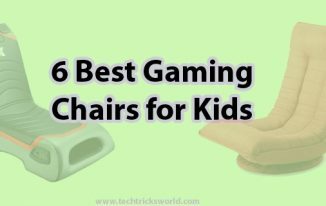 However, tablets are given to keep good control. In some cases, insulin injections are required for Type 2 diabetics as well. Anyway, if I go into detail, I will end up writing thousands of words only about Diabetes. 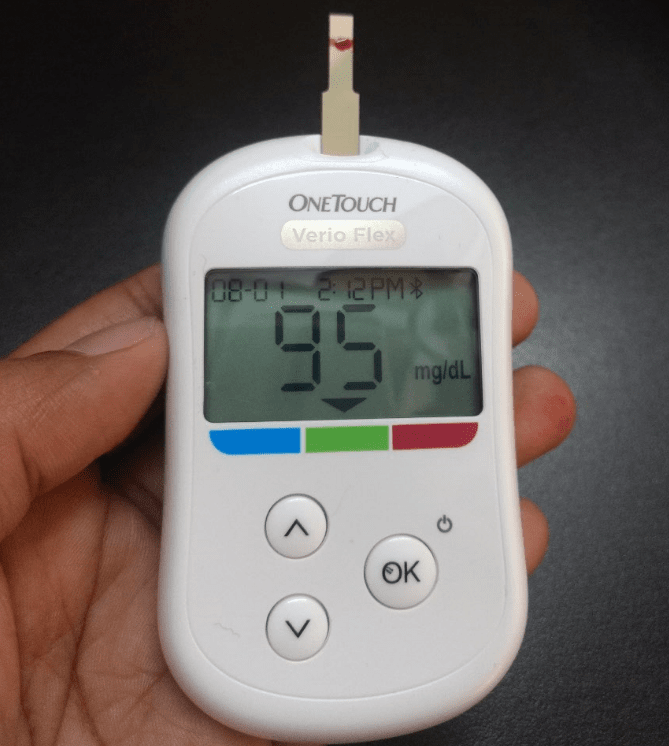 This is a product review of OneTouch Verio Flex – the best glucometer for home use that helps you maintain your sugar levels as you can test your sugar levels using this meter, and adjust your insulin doses and diet accordingly. 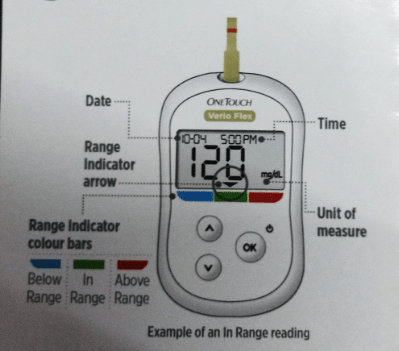 What is OneTouch Verio Flex Glucometer and how it is different? OneTouch Verio Flex is a glucometer that you can use to test your sugar levels. It comes with test strips, meter, lancets, and a lancing device. Unlike traditional glucometers, it has its own mobile app as well which syncs with the meter, and captures the sugar test result. It prepares a chart for your sugar tests automatically which saves you to manually prepare the chart on paper as doctors suggest to make charts so that you can find out when your sugar levels are high and when low. 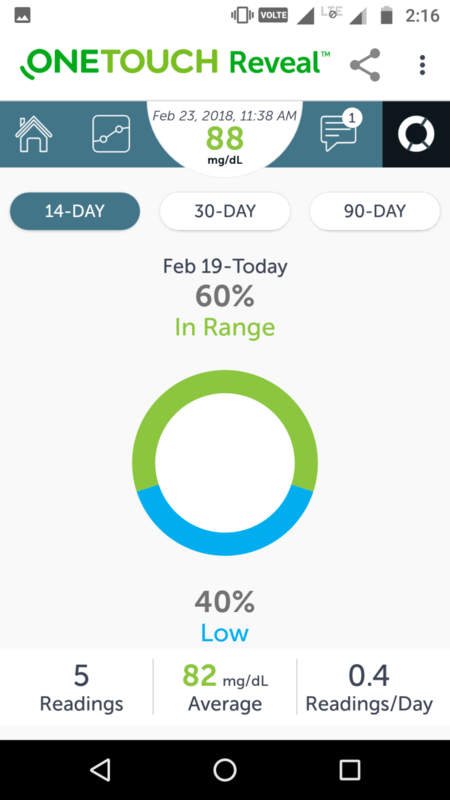 That helps you understand the pattern, and based on that you can manage your insulin injections/medicines and diet. Preparing the chart manually does take a lot of time. But, the dedicated app does it all. I will talk more about it later in this review. 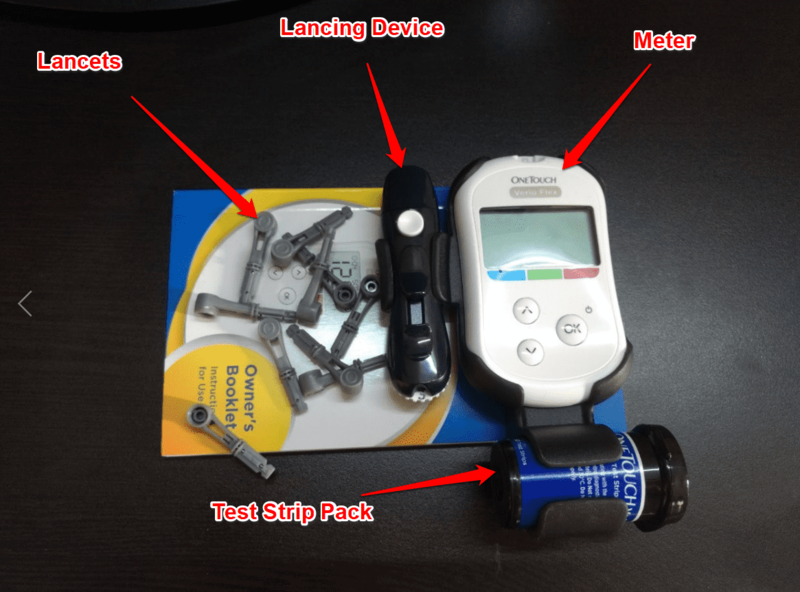 I decided to review it because when I have used it, I found it the best glucometer for home use. How Does OneTouch Verio Flex Work? Testing sugar levels with this system is quite easy. First of all, let’s set all things up. You have a Meter, Lancets, Lancing Device, and Test Strips. Test Strips may or may not be included with the kit. If not, you have to buy it separately. You may get it on Amazon.in as well by following this link. I have got test strips pack of 50 free with the meter. They have a good holder that has space for Meter, strip pack and lancing device as you can see in the above image. This makes sure you keep all these in one place. I really liked this thing which I don’t find in other glucometer kits (I have used many meters already). First of all, you need to insert a lancet into the lancing device. You can see in the booklet as for how to insert it well. If you have already used various glucometers, you won’t find it tough. It’s easy. You can adjust the depth setting in the lancing device from 1 to 7. Smaller numbers are for shallower prick, and bigger numbers are for deep prick. Generally, the shallower prick is for kids, and the deep prick is for adults. You can set it as per your skin. I have set it at 2, and it works well for me. Remember the higher the number you set, the more painful prick it does. Don’t keep it too less that it doesn’t take out enough blood drop and also don’t keep it too much that it prick too deep causing pain and excess blood coming out. Once the Lancing Device is set, turn on the Verio Flex Glucometer by pressing and holding OK button. Now, once it is turned on, set the date and time. Now, the meter is ready to test now. However, since this meter is enabled with Bluetooth Technology that helps you sync it with the OneTouch App, you must download the app first on your phone. Once the app is installed on your phone, launch it. And, turn on the Bluetooth on your phone. 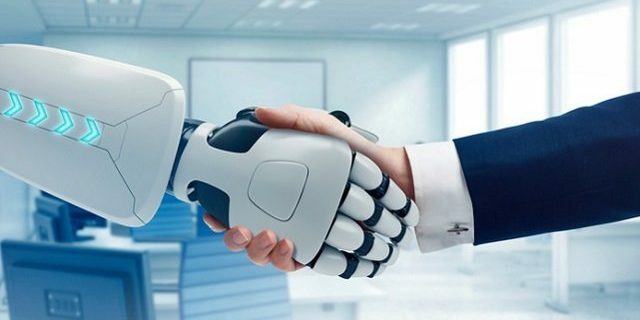 The first time, when you launch the app, it will ask you to make an account. Just do it, and it will log you in. Since we already have turned the glucometer on, it is all set. Now you can see the App starts syncing with the Meter. In a few seconds, it will be done. Now, when you test your sugar level using the meter, the app will get the data from it. Make sure while testing; you keep the app running on your phone. That is how you test it. Now, this reading will be recorded by the app that is already running on your phone. 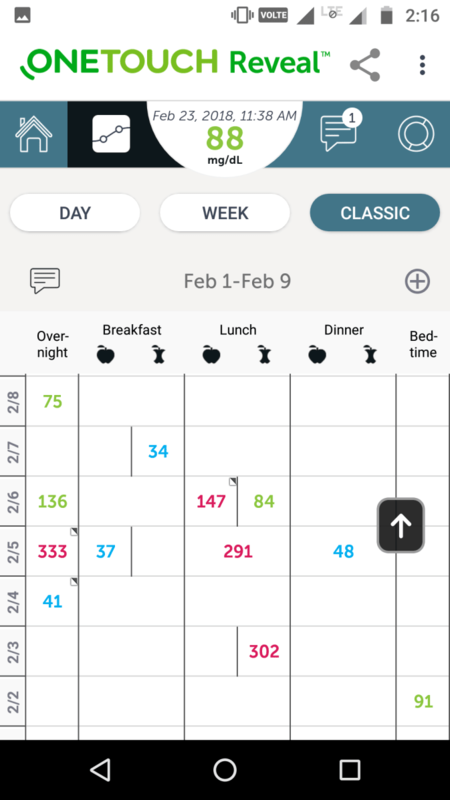 With the help of the readings, the app will create charts for you, and even if your sugar levels are continuously low or high in a particular duration, it will notify you about that as well. As you can see in the above screenshot which says the sugar level has been low for a particular time period. As I was checking my sugar levels at night and found out my sugar levels stay low. Once I found the pattern, I decreased my insulin dose of dinner time, and it helped me maintain the levels well. It also displays in the levels in range, high or low in percentage. 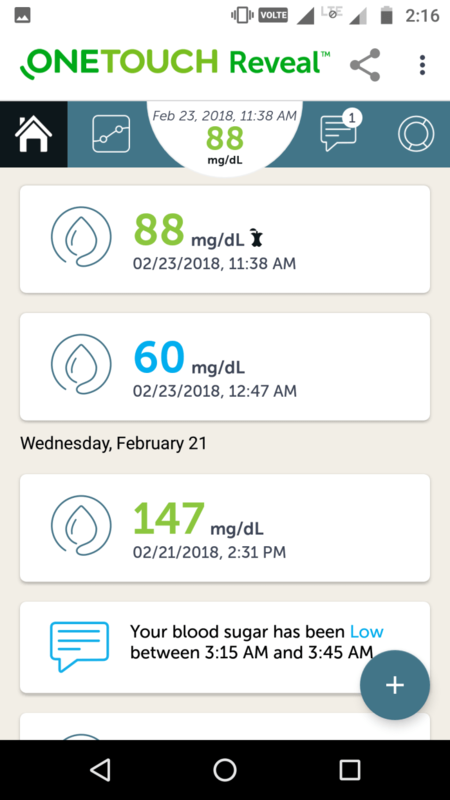 So, these are how OneTouch Verio Flex Glucometer and its app work. 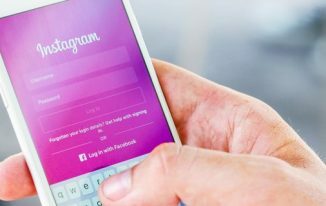 By reading the long review of both, you might think that checking and keeping the app synced is tough, but that is very easy. Just one work you have to do extra that is; launch the app just before you test the sugar level in the meter. Also, keep the Bluetooth On in your phone. 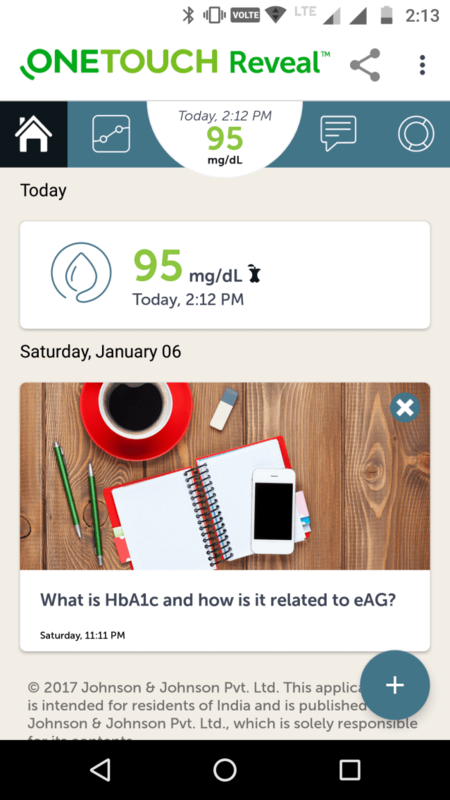 I have explained everything already which are well enough to help you get started with this awesome glucometer and the app. Moreover, you get a booklet with the meter which you can go through once to know more about it. When your mind asks a question “is glucometer reading accurate”, then you must try finding the answer because it is related to your health. 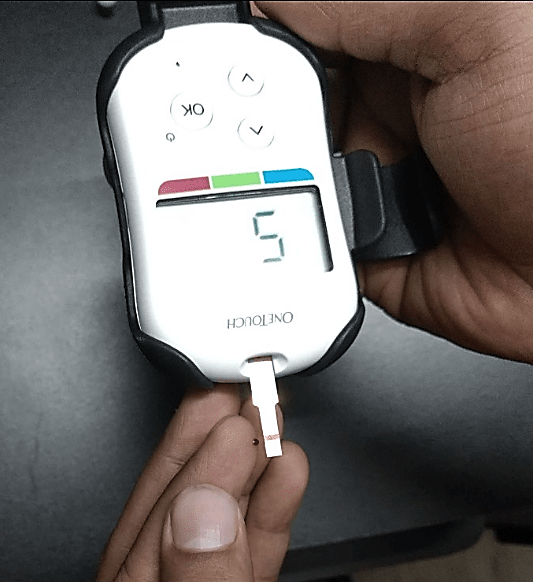 As per my experience, glucometer readings are fine but cannot be accurate as when you get your blood sugar tested from pathology labs, you may find some difference. But, the difference is not much so glucometer readings are valid. However, some low-quality meters can give you wrong results at times. So, when you try finding which glucometer is best and give accurate result?, I would advise going with either AccuCheck Active or OneTouch Verio Flex glucometer. Moreover, there are many in the market such as you can find Beato glucometer reviews as well on the internet to find more about Beato glucometer. There are many of such. Choose wisely. 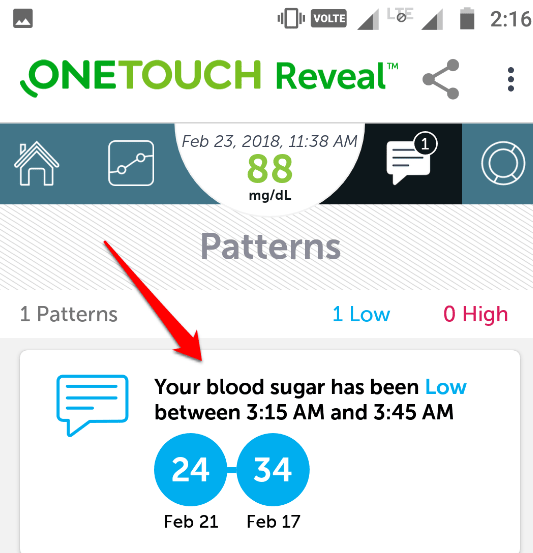 Though there are many glucometers available in the market, I loved OneTouch Verio Flex due to the app thing because it helped me prepare the chart, showed me the pattern of my sugar levels, that all alerted to keep me the better control on my sugar levels. Moreover, I tried to compare its reading with a few other meter readings by testing with each at the same time, and I found its readings are quite good. However, a little bit of difference you can see as compared to others. You may get OneTouch Verio Flex from their official site or Amazon.in as well. This is probably the best glucometer for home use along with AccuCheck Active glucometer. I really liked this meter, and I would highly recommend this to everyone who is touched with Diabetes.